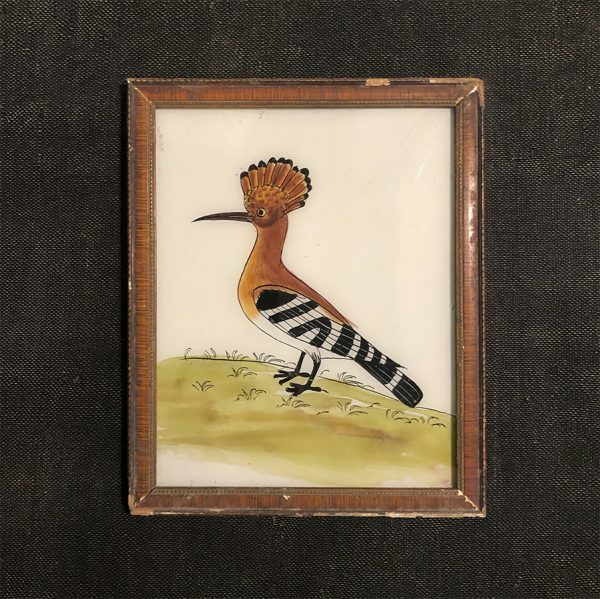 Indian hand painted glass painting, beautiful, naive and decorative. Each charming painting has a unique vintage frame. 18 x 23 cms approx.